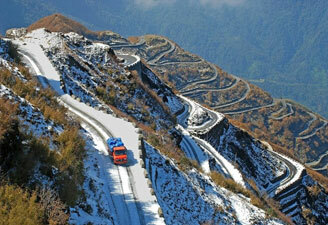 Erstwhile an independent kingdom, Sikkim is a north-eastern state of India. Located in Himalayas, it resembles a neck of a dragon. It has earned a number of sobriquets by different people. Tibetans have named it as Denzong or Valley of Rice while Nepalese call it Sukhim or New Home. Leppchas, in fact, are its actual inhabitants who call their mother land as Nye-Mal-Ale or Heaven. It has no open valleys or plains but has varied elevations ranging from 300 to 8583 m above the sea level. It offers numerous wildlife and adventure sporting options to the visitors. All of those who want to make an adventurous voyage, this place is going to be very rejuvenating for you. 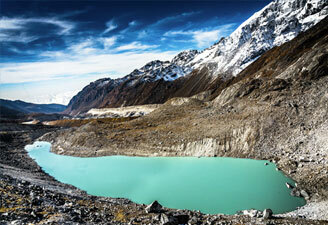 Sikkim has everything for you including trekking, hiking and river rafting. Eastern Himalayas' mountain slopes are simply captivating. Whole of this area lures all the visitors with its bewitching beauty. An exciting river rafting experience enthralls all after the twisting and fast turning row boats. Slopes and sliding rocks with virgin peaks seem calling if you are a trekker. 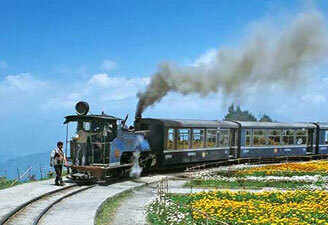 The scenic surroundings of Sikkim get embellished by the flora of Sikkim. Around 36% of total land is covered by lush forests. Lush vegetation here includes : figs, laurel, sal trees and bamboos. Maple, brich, alder, oak, chestnut and magnolia are found in abundance. There also are other flowers and plant life to attract everybody. Sikkim is famous world over for Orchids. Some of the variety of orchids found here Cymbidiums, Cattlelyas, Dendrobiums, Hooheriana, F-ar Amoneum etc. Although Sikkim is very small in size as there are around 500 species of avi fauna, 600 species of butterflies and a delightful species of mammals. Some of the most attractive birds here include emerald dove, woodpeckers, cuckoos, kingfishers and fairy blue bird. Surprisingly you are ducks and wild asses flourishing at such high altitudes. You can visit some of the wild life sanctuaries here to have an in depth view of this animal life here. Fambong Lho Wildlife Sanctuary is located at a distance of 20 km from Gangtok spread in the area of 5,200 hectares. This sanctuary homes a number of varieties of birds and butterflies including Himalayan Black Bear, Red Panda and Civet cat. Binturong or Bear-Cat (Arctictis binturong). Snow Leopard and Shy Himalayan Thar, prized Musk deer are the main highlights of Khangchendzonga National Park, the biosphere reserve in Sikkim. Perhaps the highest amongst all high altitude National Parks in the country, Khangchendzonga is recognized as one of the most significant eco-systems in the world. A luxuriant flora and galaxy of magnificent rarefied fauna varieties fascinates all. Placed near Yumthang in North Sikkim, Shingba Rhodendron Sanctuary homes some of the exquisite species of animals here. Spotted Linsang or Tiger-Civet (Prionodon pardicolor), a beautiful and highly endangered, has also been reported here. Some other species here include Serow, Goral, Blood Pheasant, Common Hill and Partrige etc. Some of the fascinating trekking options here include rugged terrain and twisted mountain ranges at Sikkim. The best time to trek in Sikkim include mid February-May and October-December. The trekking expeditions here provide a colorful hamlets, beautiful gompas and bewitching alpine forests except adventure. Foreigners have to obtain permits for trekking on most routes in Sikkim. Permits can be obtained from any of the following places: Delhi, Kolkata, Siliguri. Permit restrictions mean that the trekkers can not only follow well-beaten trails and within a limited period of time.